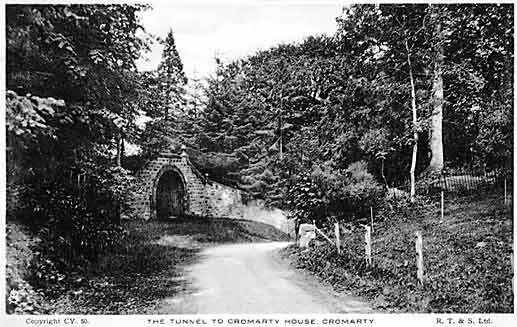 View of the tunnel to Cromarty House. This was used as a servants entrance. The postcard was produced by R.T. & S. Ltd - 1930? ?